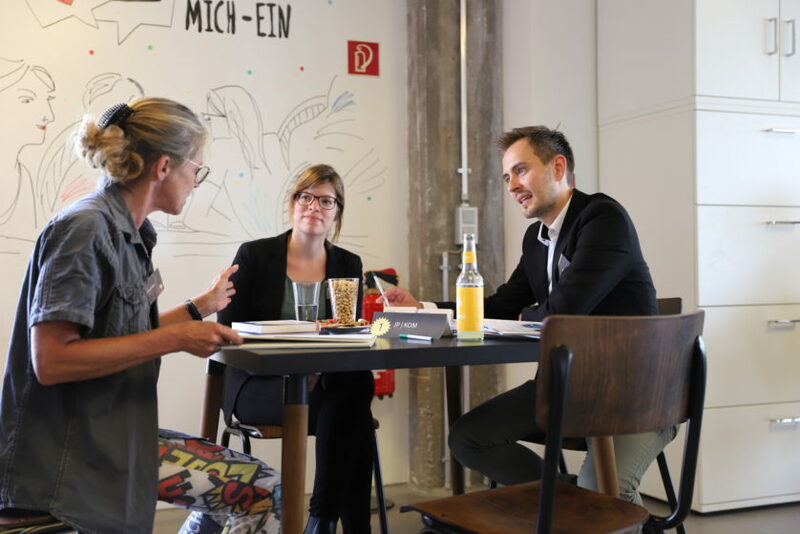 JP│KOM made a departure from conventional recruiting methods and tried out a more unusual way of finding new talent: they hosted a “speed dating” event for young professionals, in cooperation with the Berlin-based School for Communication and Management (SCM). On Wednesday, June 27th, 36 applicants descended to the agency’s Dusseldorf office. Each of them was given three minutes to convince each participating agency of their skills: in addition to JP│KOM, five other agencies took part, including international agencies D’ART DESIGN GRUPPE and Palmer Hargreaves. Afterwards, applicants and employees came together for a party on the roof terrace. For more information, visit stell-mich-ein.